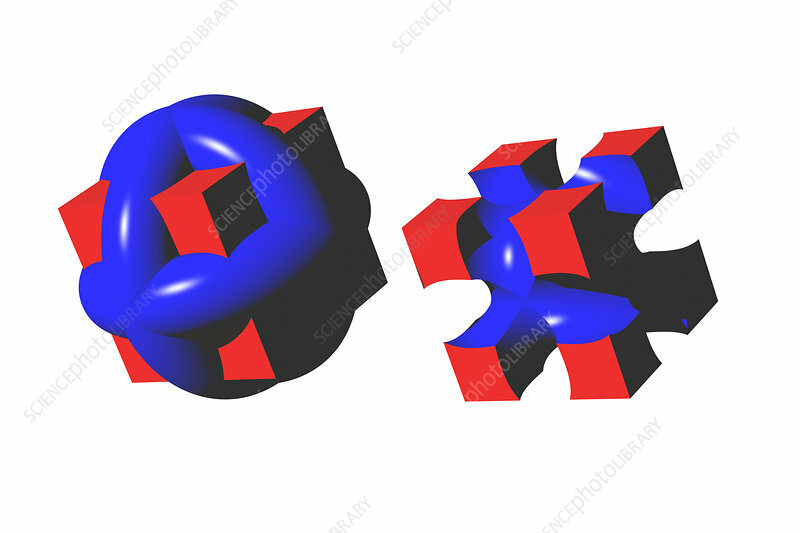 Constructive solid geometry is a technique that starts with a geometric solid then uses other solids as Boolean operators to subtract from the original. In this case three tori are subtracted from a cube. Addition of the three tori are shown on the left; the subtraction by Boolean operators on the right.